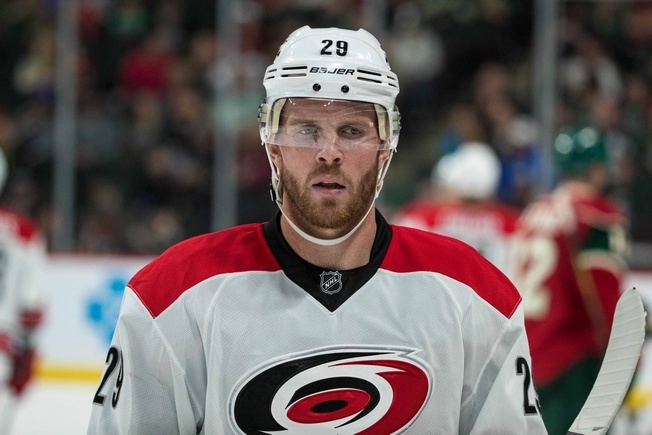 Carolina Hurricanes forward Bryan Bickell has been diagnosed with multiple sclerosis, the team announced on Friday. He’ll be out indefinitely. The 30-year-old has one goal in seven games this season and was acquired from the Chicago Blackhawks in a trade in June. This is obviously shocking news for Bickell and everyone around him. This diagnosis is no ordinary injury or setback. Multiple sclerosis is an autoimmune disease of central nervous system. It attacks the protective covering of the nerves, known as myelin, and causes inflammation and damage. This interrupts nerve impulses, which can lead to disruption and symptoms like extreme fatigue, weakness, lack of coordination, impaired sensations, tingling, vision problems, bladder problems, mood changes, and cognitive impairment. The Blackhawks drafted Bickell with the number 41 pick in the 2004 NHL Entry Draft. Bickell has 136 points in 391 games, including 66 goals and 70 assists. His best season to date has been a 37-point campaign in 2010-2011 with the Blackhawks.